Travel is like many other things in life–we get what we put into it. So much of the pleasure of travel is anticipation: plotting the route, learning about history and culture, imagining the sights, preparing the senses for new tastes and aromas. Travel guides help us with the planning, but they often urge us to rush from site to site, accumulating tourist points until we’re totally exhausted and eager to return home. There’s so much we can learn about the art of travel from the writer Frances Mayes. 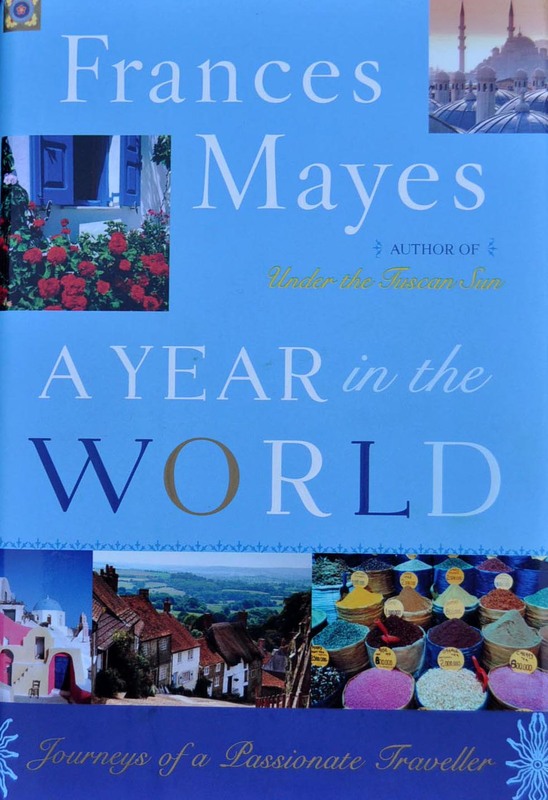 In chapter 2 of her book “A Year in the World,” Mayes describes how she navigated through Portugal without compass, astrolabe or GPS. She knows when to slow down to enjoy the scenery, how to spot a good restaurant that no guidebook has noticed, how to be open to happenstance. And her writing places us on location, enjoying our vacation before it even starts! I remember when I was young, the whole family would go on these long six-week camping trips, crossing the continent to the Pacific Ocean. The itinerary of the next few days would be decided around a campfire, my dad and I running our fingers along the highways on the map, charting the elevation gain to determine whether our old Chrysler Voyager would make it to the pass. Imagining what was at the end of this or that road, what sight would welcome us as we approach Grand Teton or enter the North Cascades. You are right, Sergio, so much of the pleasure of travel is indeed anticipation. I have to read that book! But then you have to come visit us in Portugal! I found Ms. Mayes’s comments insulting. Of all the travel articles or books about Portugal, hers is the most condescending. If she finds Portugal so different from Italy, why doesn’t she stay there? If she finds the Portuguese so friendly, why doesn’t she appreciate it instead of backhandedly insulting them? She has turned me off her writing; I—who was an avid fan.